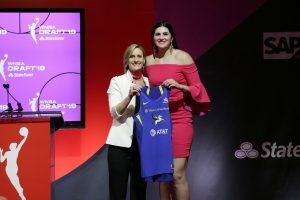 DALLAS [April 10, 2019] – The Dallas Wings of the Women’s National Basketball Association (WNBA) and Texas Capital Bank announced today a marquee partnership showcasing the bank’s name and logo on players’ jerseys. The partnership also amplifies community efforts the Wings and the commercial bank began last year, including sponsoring initiatives to promote, educate and empower women and girls. Dallas-based Texas Capital Bank is a commercial bank with locations in Texas’ five largest metros: Austin, Dallas, Fort Worth, Houston and San Antonio. Wings players will wear a Texas Capital Bank insignia on the front of their home, away and Breast Health Awareness jerseys. Texas Capital Bank will serve as the presenting sponsor of the Dallas Wings starting lineups. The Wings, its players and front office personnel, and Texas Capital Bank will collaborate on presenting a community financial literacy workshop. 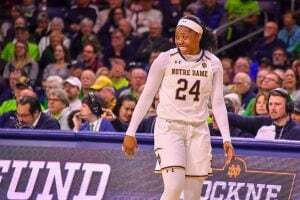 A reveal of the co-branded jersey will take place April 10 at College Park Center in Arlington during the Wings’ 2019 WNBA Draft party, highlighting the on-court partnership. The pair’s off-court initiatives will tipoff noon-1:30 p.m. April 13 at an open house at the Sarah Wilke Youth Center in West Dallas. 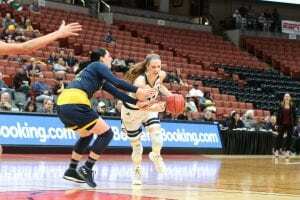 Activities will include pickup basketball games and an interactive reading nook with books, free T-shirts, food and dessert, a bounce house and pictures with the Wings’ mascot, Lightning. The new partnership also enhances ongoing community efforts by the Wings and Texas Capital Bank. As the marquee partner, Texas Capital Bank will sponsor Science, Technology, Engineering and Mathematics (STEM) Night for the May 19 preseason game against the Indiana Fever. Throughout game day, the Dallas Society of Women Engineers will demonstrate a variety of STEM activities for all ages. Projects from STEM Students from around North Texas will also be on display during the game. Texas Capital Bank also will present on July 20, the Wings’ Second Annual Inspiring Women Night, an event that recognizes female community leaders who have made an impact across Dallas-Fort Worth. Like last year, the team and bank will join forces for the Lightning Legacy Readers Program, an incentive-based program to help youth throughout the Dallas-Fort Worth area develop reading skills and champion values such as teamwork, commitment and respect. 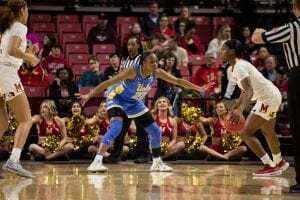 The Wings, who open its season at home June 1 against the Minnesota Lynx, play at College Park Center on the campus of the University of Texas at Arlington. Read more about the new Nike jerseys for the 2019 WNBA season here.